The N149/5.X will be offered with a flexible power rating in the 5MW range. It uses the same rotor blade, doubly-fed induction generator (DFIG) and exterior nacelle dimensions as in the N149/4.0-4.5, the first model announced in the Delta4000 platform, Nordex stated. However, the manufacturer added it scaled up the electrical system and used a new gearbox to enable the N149/5.X to achieve a higher power rating. The turbine can be installed with a range of different tower options up to 164 metres, Nordex said. Series production of the N149/5.X is due to start in 2021. It is aimed at core markets in Europe, and also "global growth regions" including South Africa, Australia and South America. The model can be operated in different power modes in the 5MW range and in a range of sound power modes, Nordex added. It can achieve a power output of 5.5MW while operating with a sound power level of 104.8dB(A), but can also be run in higher power modes at sites where emission levels are not critical, Nordex said. The turbine can also be modified for cold climates featuring an anti-icing system for blades, enabling operation in temperatures down to -30C. More information about the N149/5.X will be revealed at WindEurope’s European Wind Energy Conference in Bilbao, Spain next week (2-4 April). Since it launched the platform in September 2017, Nordex has received orders totalling more than 700MW. In mid-March, Nordex started series production of the turbine range at its production facility in Rostock, Germany. The maunfacturer installed a prototype of the first Delta4000 turbine, the N149/4.0-4.5, in August 2018. Nordex launched the N149/5.X as it posted a loss of €83.9 million in 2018 – down from a €300,000 profit the previous year. Its turbine order intake increased 64% to €3.9 billion, but its sales fell 20% year on year to €2.46 billion. The manufacturer’s earnings before interest, taxation, depreciation and amortisation (Ebitda) halved (down 49.3%) to €101.7 million, and its Ebitda margin fell 2.4 percentage points to 4.1%. Its working capital ratio also fell year on year, from 5.3% to minus 3.8%. The company recorded investments of €112.9 million in 2018 – down 21% from the previous year. 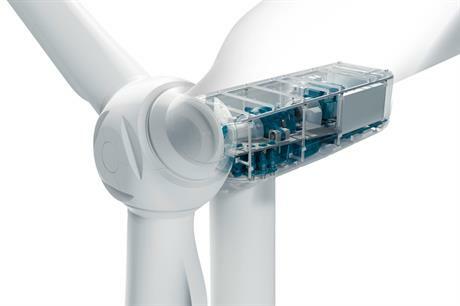 Nordex expects its sales to increase to between €3.2 billion and €3.5 billion for 2019. Installations and related sales in the second half of the year will be well above the figures of the first six months, the manufacturer added. It expects an Ebitda margin of between 3% and 5% and a working capital ratio of below 2% relative to consolidated sales at the end of the year, it stated. The manufacturer expects annual investments to reach €120 million, with a particular focus on spending to optimise the supply chain, expand global production and product development. However, the final amount will depend on incoming orders, it added.